Thallus in small patches, thick or thin, pale grey to olive-brown, irregularly rimose-cracked, flat, determinate. Prothallus often present, thin, entire, grey-black. 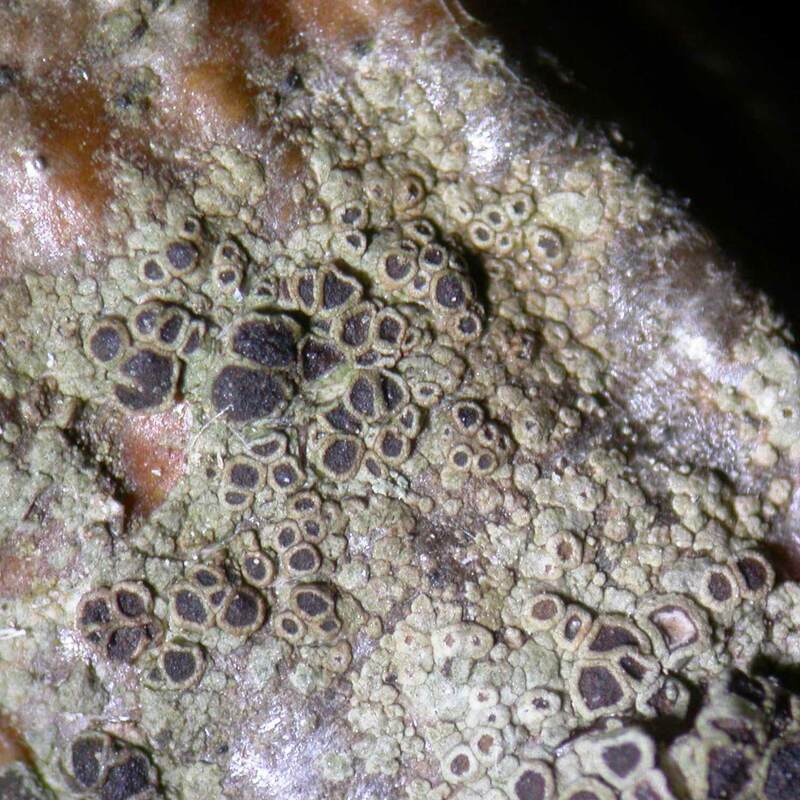 Teleomorph: ascomata apothecia, 0.45-1.15 mm diam., immersed, sometimes becoming sessile, frequent, usually contiguous. Thalline margin 50-150 µm thick, concolorous with the thallus, entire, persistent. Disc dark brown, becoming black, persistently flat. Epithecium brown, not crystalline. Hymenium 85-130 μm high, I+ blue. Hypothecium 60-130 μm high, I+ blue. 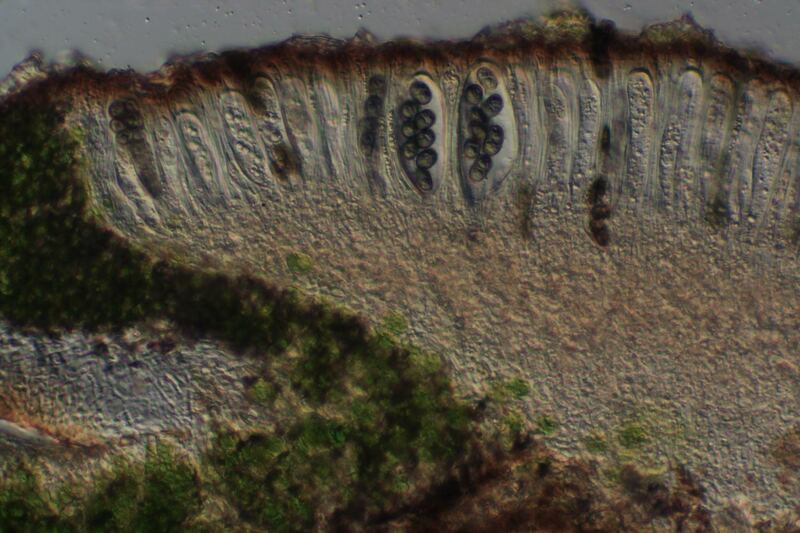 Interascal tissue of paraphyses, mostly unbranched except near the apices, which are slightly expanded and immersed in brown gel. Asci 50-70 × 15-20 μm, clavate, inner walls uniform, 8-spored. 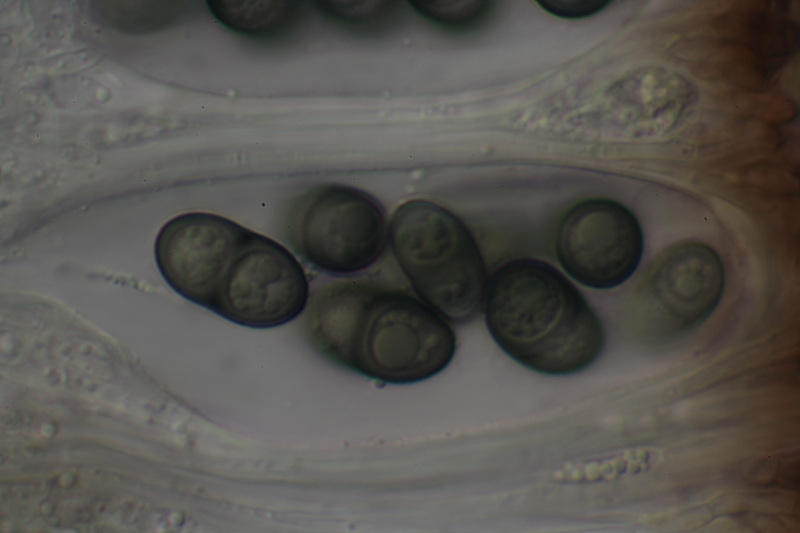 Ascospores 13-19 × 6.5-9 μm, cylindric-ellipsoidal, dark olivaceous, distoseptate, with thin walls and rounded lumina, Milvina-type, without an epispore, gelatinous sheath or appendages. Chemistry: lichen products not detected by TLC.